When you are getting your home ready for Christmas, whatever your style, fairy lights will definitely be featuring somewhere. Be it on the Christmas tree, outside or hung in your windows, these twinkling beauties are a decorating essential. However, being electrical, there is always a small safety risk. 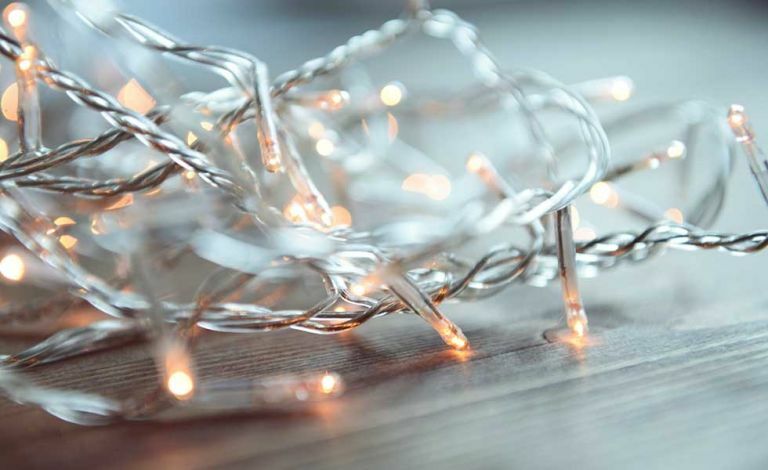 So make sure you have a safe festive season with these Christmas light tips. Check for safety marks such as the BS Kitemark when buying lights. Read the instructions and check that the right rating of fuse is installed. Choose energy saving LEDs, which emit less heat and cost less to use. Replace failed bulbs straight away to avoid overheating and use the same type and rating as the originals. Switch lights off when you go out or go to bed. Make sure outdoor lights are connected via a 30mA RCD protected socket. Use a surge-proof plug adaptor. Consider battery operated sets of lights in indoor areas where a socket is not nearby. This prevents trailing wires across the room. Touch the wires every so often to check for overheating. If you are using a Christmas tree stand with water reservoir, don’t let the wires trail into the water. Use lights that are damaged. Replace bulbs when the lights are connected to the mains. Plug adaptors into one another as you risk overloading the socket. Use indoor lights outside (outdoor lights must have the correct IP rating and be specifically designed for outdoor use). Don’t run cables across escape routes or thoroughfares. Hang external lights in wet or windy weather. Put lights on flammable decorations or materials.